A modern San Francisco Bay Area salon with interiors designed by Form + Field, a San Francisco-based interior design firm. The owner of Lacquerbar created bold branding for her new nail salon concept in the San Francisco Bay Area that promises great nails, great drinks, and unabashedly feminist values. We took that strong brand identity and turned it into a unique experience on Berkeley's 4th Street corridor. 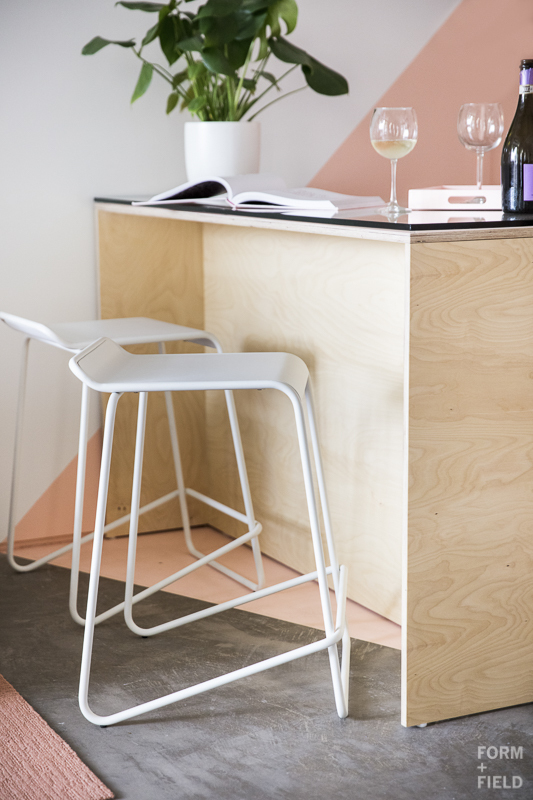 Monochromatic themes of pink and purple with light wood finishes and raw concrete came together for a fresh, millennial-friendly, yet sophisticated vibe. An oversized gallery wall of female icons and role models completes the space's fun, girl-power attitude.